Please wear your swimsuit under your clothes and get ready for fun! 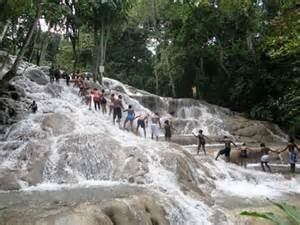 Cliff jumping is optional and those who do not participate can have just as much fun watching.The adventure begins when you board the "River Gully Express" which will pick you up at the cruise terminal or Hotel lobby. 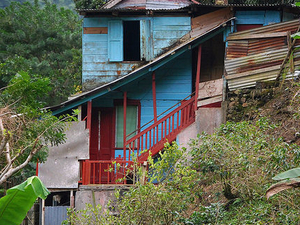 Drive through the coastal town of Ocho Rios seeing the locals way of life. Continue through the villages of White River and Exchange as we head towards higher elevation. Start experiencing the rainforest of Calia Gully with a decent of a 100 ft to its bottom as we continue towards River Gully. 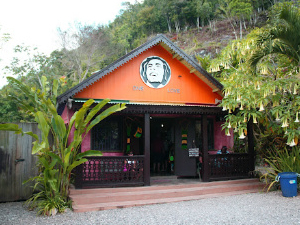 Experience one of Jamaica's oldest hydro electric plant. See how wood is used as pipes to carry water "The Black Pipe". 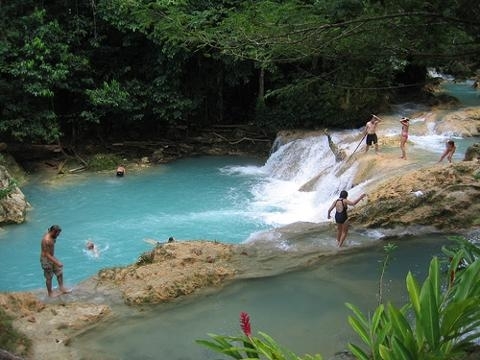 Now you are in the rainforest "River Gully" where your adventure becomes epic with the water falls climbing, blue hole jumping and underwater cave exploration at the "Island Gully Falls & Blue Hole". 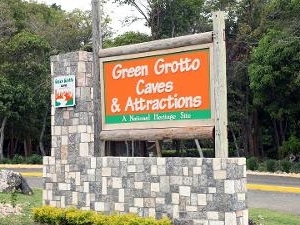 Next travel further into the rainforest to Hidden Beauty Rainforest Oasis to complete the tour. On the way back stop at a local craft market to look at local souvenirs and stop for lunch at one of our local Jerk restaurants. • Wear your swimsuit under your clothes and get ready for fun! 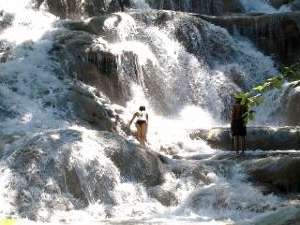 • Cliff jumping is optional and those who do not participate can have just as much fun watching.